Every second and fourth Mon. 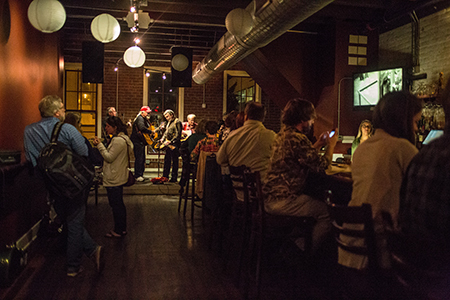 of each month, Busy Bee Cafe in downtown Raleigh hosts the PineCone Bluegrass Jam in its event space called The Hive. 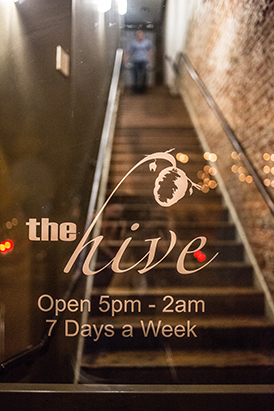 The Hive is the bar above Busy Bee Cafe. 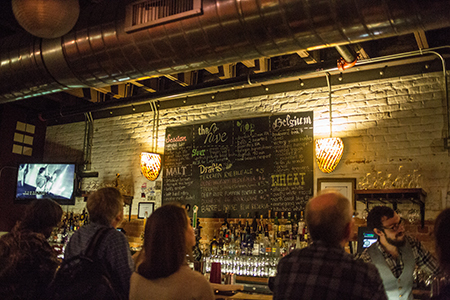 It offers local craft beers from Carolina Brewing Company and Big Boss Brewing Company to enjoy while you listen to the various musicians that are featured there. The PineCone Bluegrass Jam is an event organized by the PineCone, Piedmont Council of Traditional Music. PineCone is a downtown Raleigh-based non-profit organization dedicated to preserving, presenting and promoting all forms of traditional music, dance and other folk performing arts. Since the organization&apos;s founding in 1984, it has hosted concerts, jam sessions, a bluegrass radio show on the 94.7 QDR radio station, youth music camps, workshops, consultation services for emerging artists among other events to help make the community aware of traditional music. The organization is sponsored by the City of Raleigh Arts Commision and the North Carolina Arts Council. 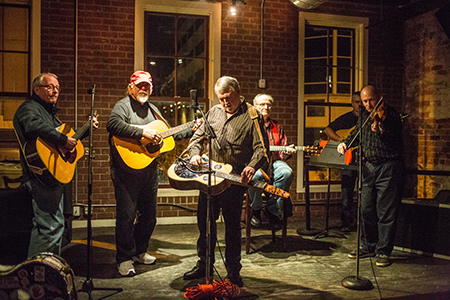 The Bluegrass Jam runs from 7-10pm and is open to musicians of all levels and ages. PineCone developed the event to offer a practice mechanism for musicians (of all skill levels) and to entertain the customers in local restaurants. 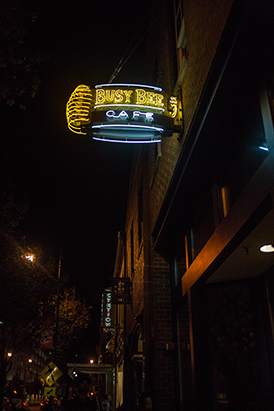 The Bluegrass Jam was originally formed in 2006 and was held at Big Boss Tavern, but moved to Busy Bee Cafe a few years ago. The Bluegrass Jam is lead by Doug Pratt, who primarily plays dobro, and David Hedrick, who plays acoustic guitar. For more information and to learn how to sign up for the Bluegrass Jam group, you can visit PineCone&apos;s website here. If you&apos;re not a musician, be sure to hear great bluegrass music at these jams. You&apos;ll hear some very impressive and talented musicians play! PineCone, Piedmont Council of Traditional Music, hosts many events, which you can find here! For a full schedule of Greater Raleigh live music events, check out the music calendar at visitRaleigh.com! Written by Kristen Hill. All photos in this post contributed by Kristen Hill of Kristen Abigail Photography.